The sale of marijuana in Hyderabad is taking new dimensions with smugglers roping in women to peddle the contraband, assuming that they are not obvious targets for the police. Unaware of the legal complications involved in possessing marijuana, which is banned under the Narcotic Drugs and Psychotropic Substances (NDPS) Act, several gullible women, especially from Dhoolpet and its surrounding areas, landed in trouble for trying to sell the substance surreptitiously. The Prohibition and Excise Department, which busted several gangs involved in the smuggling, found that women aged between 30 and 52 constituted 40 per cent of the total number of persons arrested in Dhoolpet under the NDPS Act. 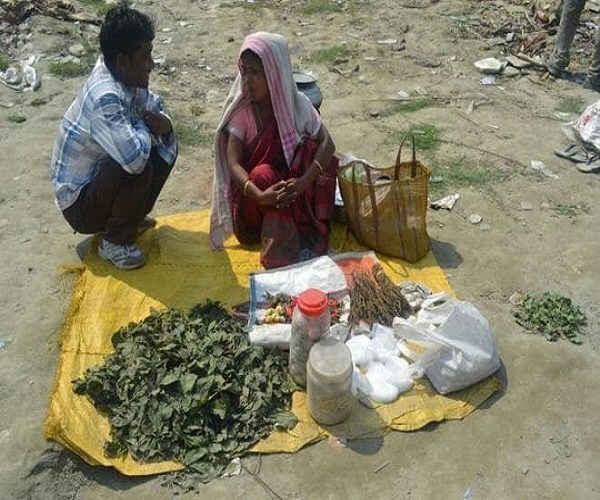 Expecting high returns, some women started to sell marijuana, while the others assisted their relatives who were already into the illegal business. Some of them found themselves compelled to join the marijuana peddling network because of financial constraints, Excise officials said. In a recent raid at a house in Annojiguda of Ghatkesar, Excise personnel found a couple — Sanjay Kumar Naik and Sunamani Naik — from Odisha, running the business. Another woman, Krishna Kumari from Sitaphalmandi in Secunderabad, was also caught when she came to collect stock. Naik used to source the contraband from Odisha and sell it at wholesale rates ranging between Rs 3,000 and Rs 3,500 a kg to local peddlers in Dhoolpet and Sitaphalmandi, Assistant Excise Superintendent N Anji Reddy said. Previous articleWhat Happens To ‘Telugu Students’ Who Caught In ‘Pay-To-Stay Scam’ In United States?